An Adventure Cannonball friendly route in the Peak District. 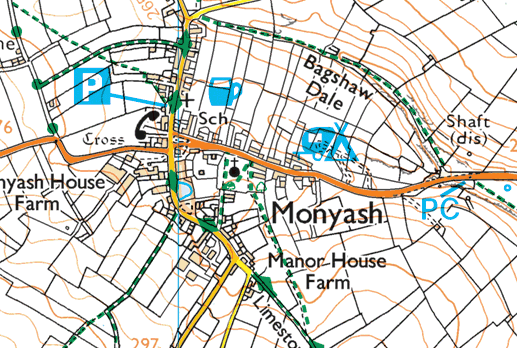 The start is from the Old Smithy Tea Rooms at Monyash, they open at 9:00 on weekends so OK for breakfast! In case anyone did turn up by van there is free public parking close by (on Chapel Street) and a campsite only 500 metres away on the edge of the village all shown on the map below (the tea rooms are next to the pub, actually just below and to the left of Sch on the map): There is other accommodation in the village and nearby. The route is approximately 200 km and makes use of minor roads as much as possible although there are a few interesting A roads thrown in too. The first green road comes less than 4km from the start and is quite short just to get you in the mood. The route then follows a winding back roads section, crossing Lathkill Dale and heading down south towards the next, longer green roads section at 24km these are some lanes that form a continuous route. The route heads out to Matlock (Fuel stop plus Sainsbury’s if supplies are needed)) then follows the A6 through the biker’s Mecca of Matlock Bath (lots of eateries too) for a bit of variety then tracks back up Via Gellia, another bikers favourite and stays on tarmac until Rockhurst Farm, a 2 kilometre long track than can get quite wet but has a good firm base. Shortly after this is Roystone Lane, a long section of tarmac road follows with a nice ford thrown in across the Bradbourne Brook until the picturesque village of Tissington (Tea Rooms), then to Thorpe (Pub and Fuel) and eventually via more minor roads to Highfield Lane another straightforward green road. This leads soon after to Long Dale, an extremely scenic tarmac route. The route loops out to Wildboarclough, north past the edge of Macclesfield Forest and over to the Goyt Valley (Lots of great views) before a short stretch of (nicely twisty) A road to Horwich End then some minor roads to Chapel-en-le-Dale (Fuel) then out towards Bee Low Quarry. Bee Low Lane, is for most of it’s length a newly constructed metalled track to avoid the quarry workings so eminently suitable for big bikes. The Holmes is a straight forward metalled lane that leads the route up towards the Castleton/Hope area. Next comes the very scenic Winnats Pass, passing Speedwell Cavern and then descends into the Hope Valley and the villages of Castleton and Hope, which are tourist magnets but do have some decent pubs and cafes. A long stretch on the scenic B6049 of around 13 km passes through Bradwell and Tideswell (Cafes) before heading off to the final Green Road. Please complete and send the form below in order to reserve a place on The Peaks Adventure Cannonball on the 28th October 2018. 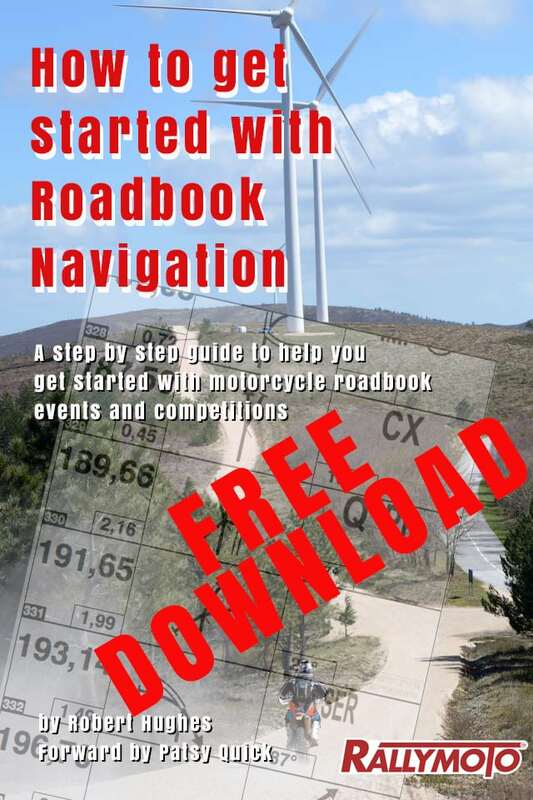 Please note: We are charging a nominal amount for roadbook hire and roadbook printing on all Capers and Adventure Cannonball events to help cover costs – your support is appreciated.